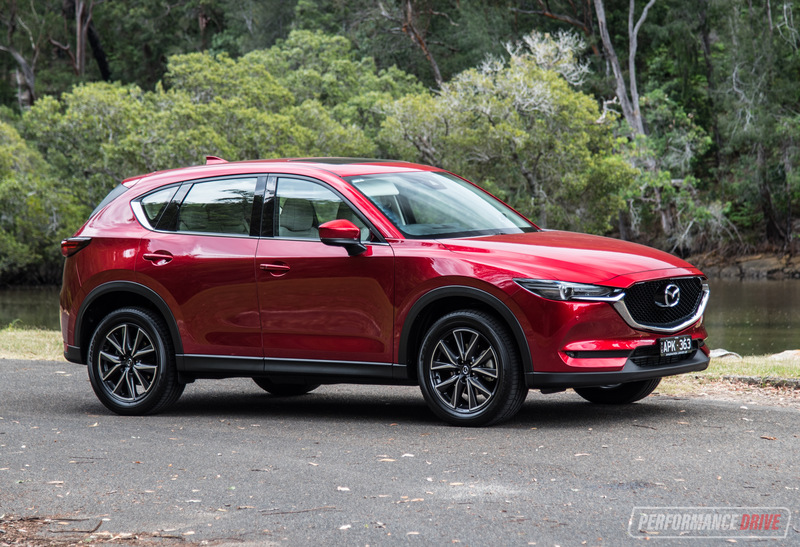 Australians can’t get enough of the Mazda CX-5. It’s been the best-selling SUV for five years straight. And now some refinements have been administered to make sure it remains the top pick. Do the updates make a difference to its overall attraction? Let’s have a look. 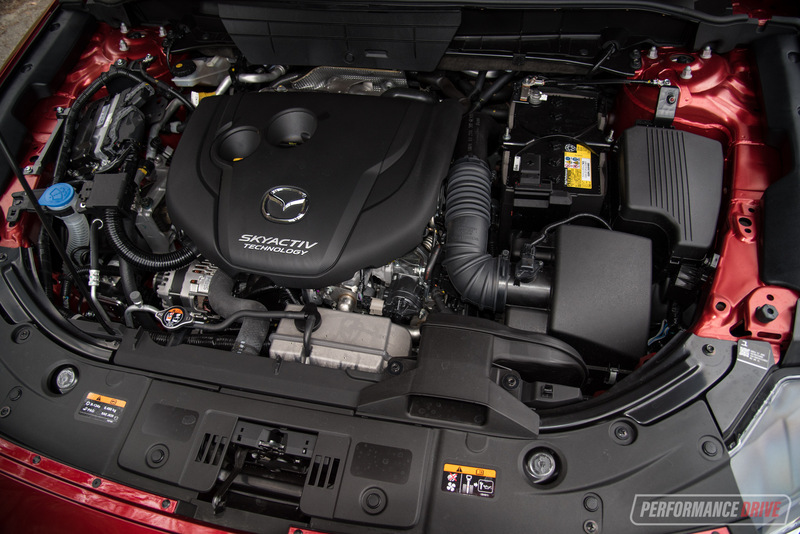 One of the most interesting updates for the 2018 model is the uprated diesel engine. It packs more power and torque, with reduced fuel consumption. 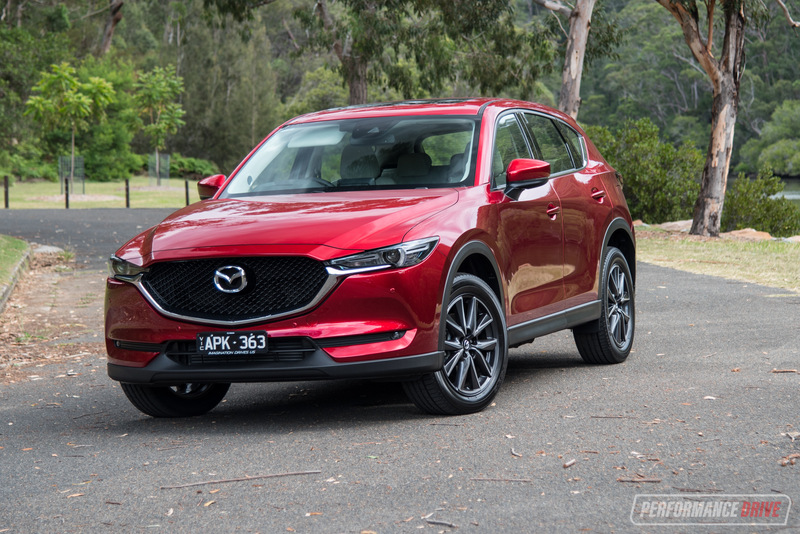 Since we haven’t actually tested the pre-updated diesel in any of Mazda’s vehicles, we thought we’d better sample it just before test driving the update. 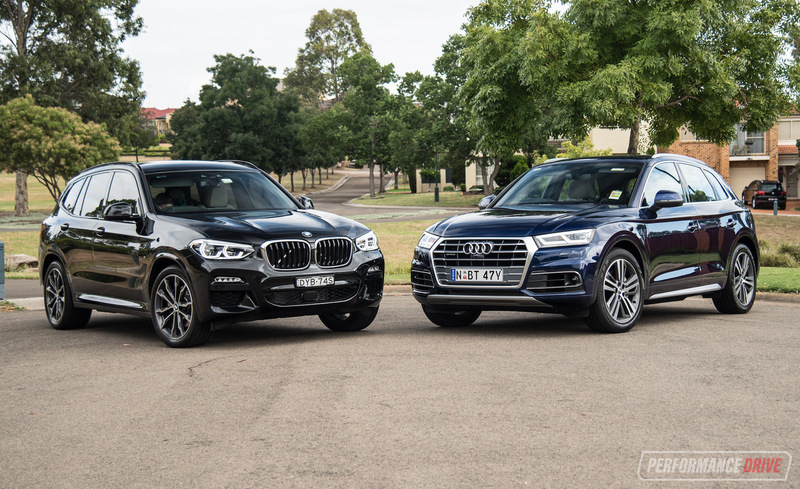 So, in this review we’re looking at the pre-updated GT version with the now-superseded diesel, as well as the new Touring variant with the updated diesel. 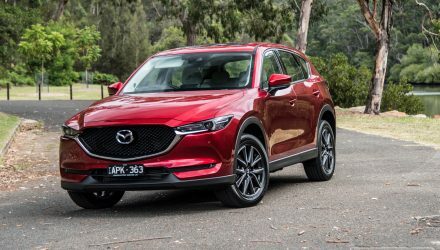 Both are featured in Mazda’s Soul Red hero colour, just to make it a bit more confusing for you (the GT has a white interior). For 2018 the lineup spans five main levels as before, running from the Maxx, Maxx Sport, Touring, GT, to the top Akera. 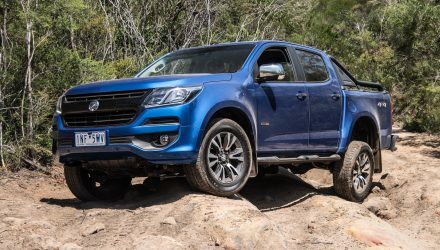 Both front- and all-wheel drive are available, depending on the variant, and all except the entry Maxx with the 2.0L petrol come with a six-speed auto as standard (Maxx available with a six-speed manual). 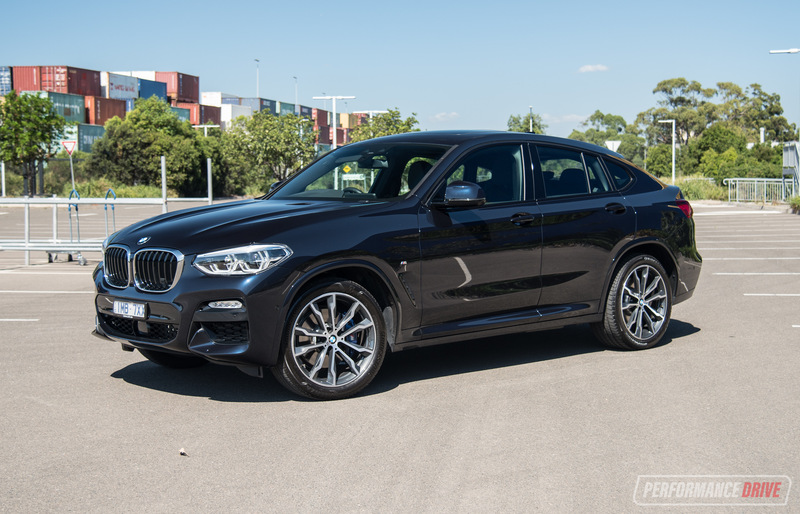 Prices for the new GT diesel start from $46,590 (down $800 on the 2017-2018 GT, as tested here), while the new Touring diesel starts from $41,590. 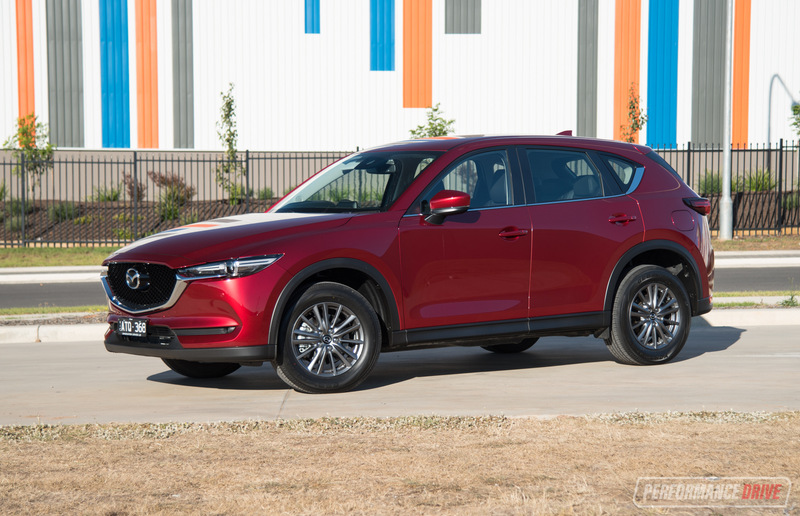 The CX-5 remains as a reasonably-priced offering in the medium-size SUV class, with some competitors priced a touch lower and some a touch higher. Open the door on any current model Mazda and you’ll be pleasantly surprised. We think these are some of the finest interiors you’ll see in the mainstream vehicle category. 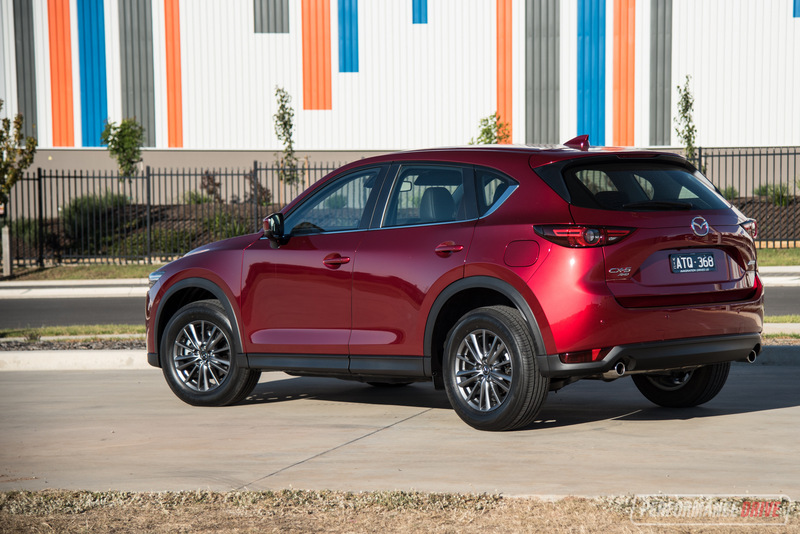 And it’s the same story with the CX-5. 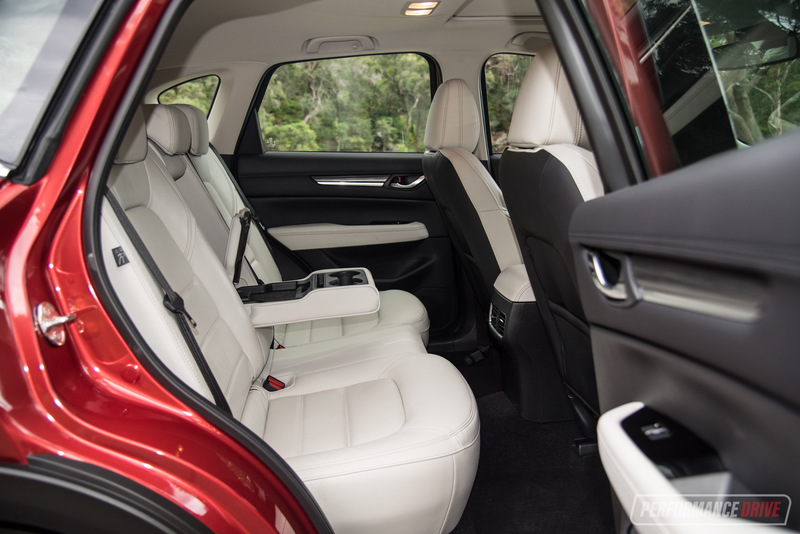 In GT trim with the white/bone leather trim, it’s just exquisite. The colours and materials create a classy yet practical decor, and we like the way the white tones are not carried through to the lower cabin and footwells where surfaces would otherwise show dirt and scuffing. 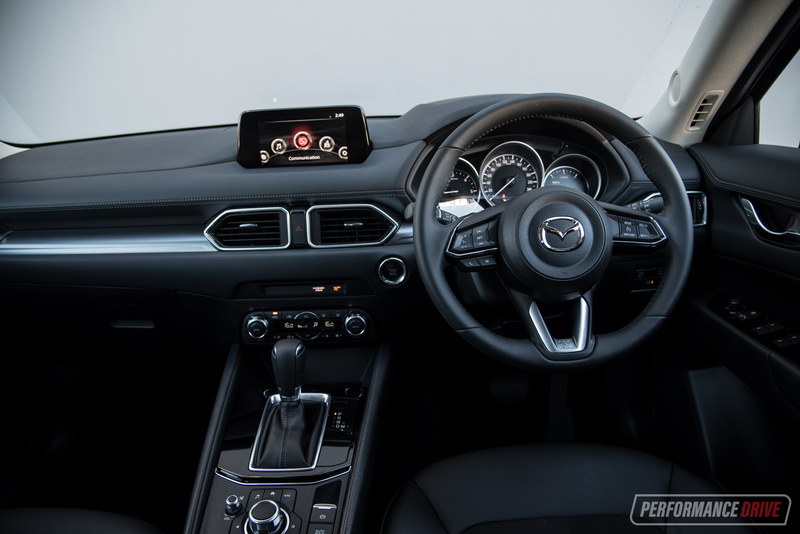 In the Touring specification, the interior design is pretty much the same only the dash and parts of the centre console aren’t swathed in leather, and there’s more of a mono-tone colour scheme going on. It’s still very nice, though. 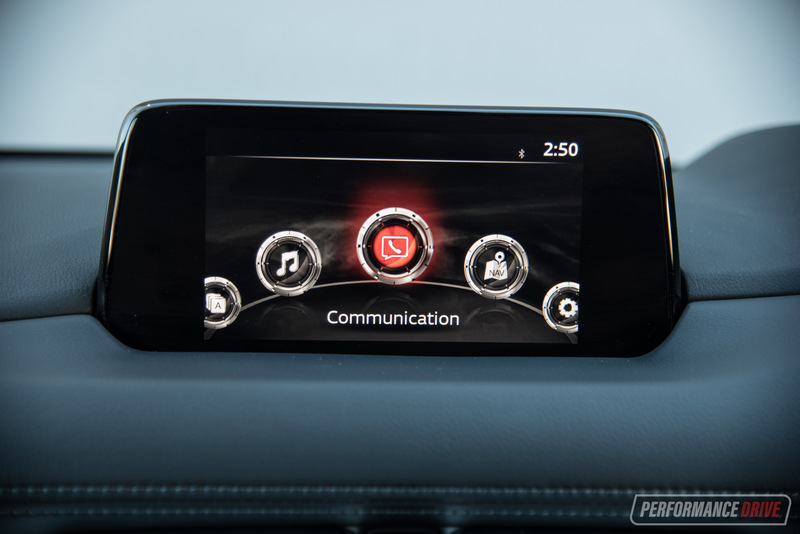 And despite the obvious high priority on design, the controls and fixtures are entwined seamlessly. 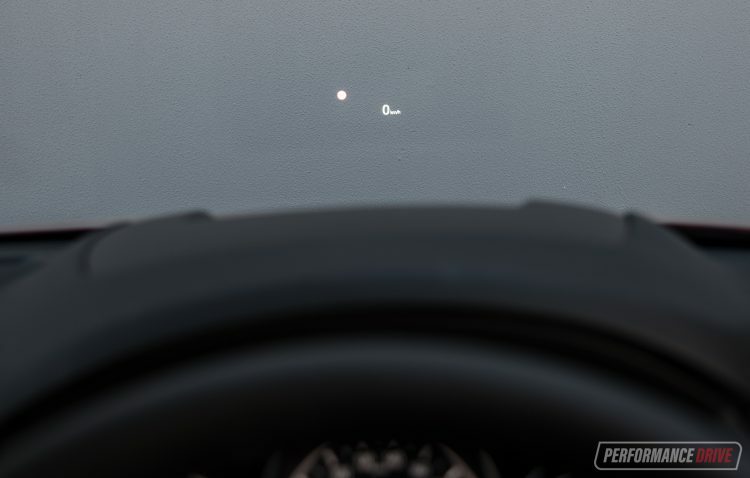 Everything sits where you’d expect to find it, with commonly hidden functions – such as dimming for the instrument cluster – sticking to tradition for instant familiarisation. The standard features list is extensive in most variants. 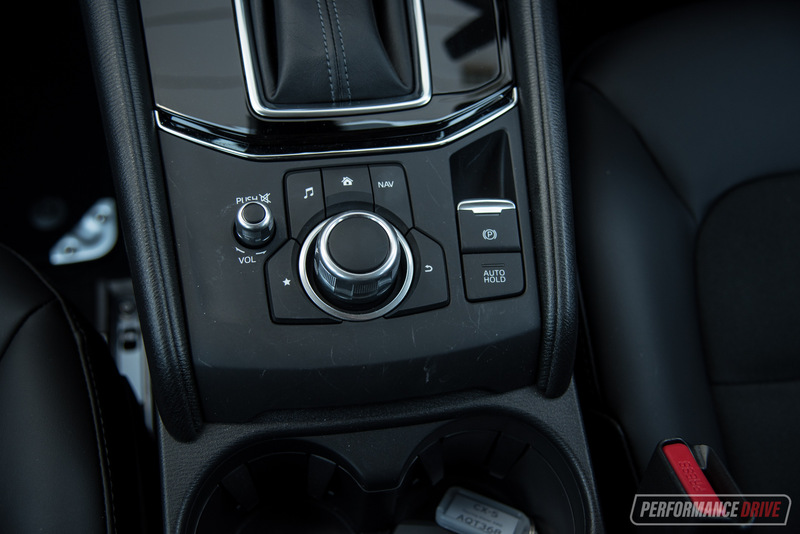 Both of these share the same MZD Connect media interface, which we think is one of the best systems in the class, with the very convenient hand controller down on the centre console. You don’t need to be a computer genius to understand how it operates. 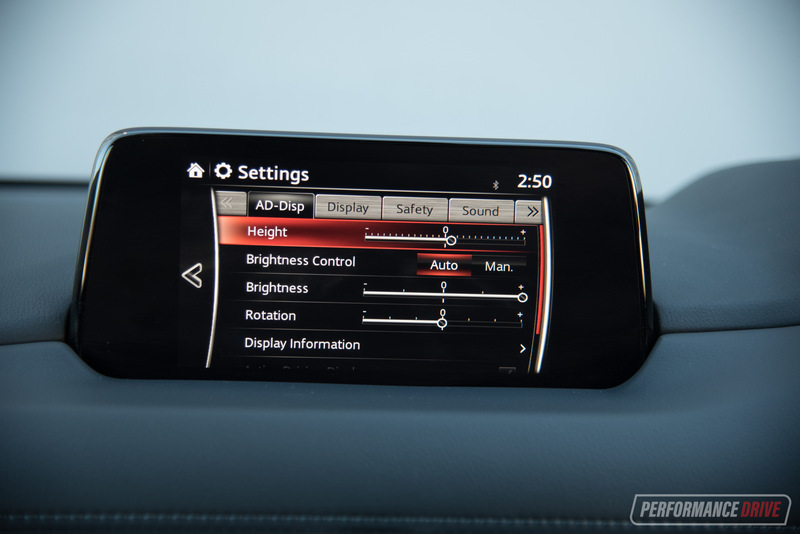 Once you get used to the left-right, up-down cursor movement and the surrounding jump-to buttons, you’ll soon be able to make selections while on the go and not even need to glance down. 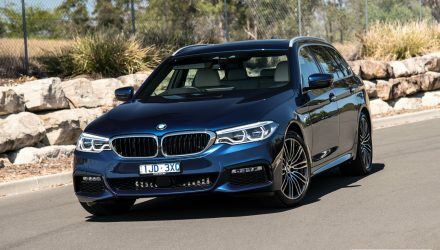 All of the must-have items are standard, including a rear-view camera, Bluetooth, digital radio, automatic on/off LED headlights (at least for Touring and GT), auto wipers, GPS sat-nav, cup holders galore, and dual-zone climate control. Going for the GT gets you a power tailgate, and, thanks to the 2018 update the Touring receives the latest head-up display system. Thankfully, Mazda has got rid of its old flimsy plastic flip-up head-up display system and now uses a proper dash-integrated projector like most other systems in the industry. 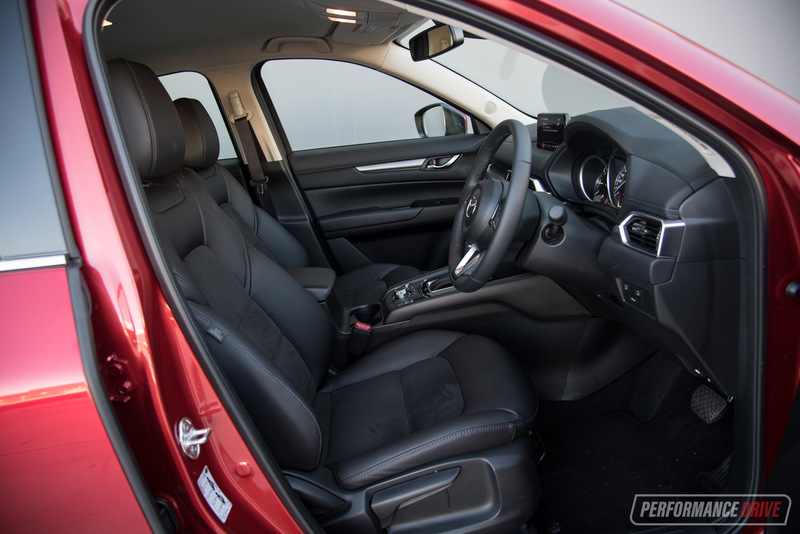 The passenger space in the front and rear is tidy and functional, with no weird intrusive bits of door trim or console getting in the way, and respectable headroom and legroom. 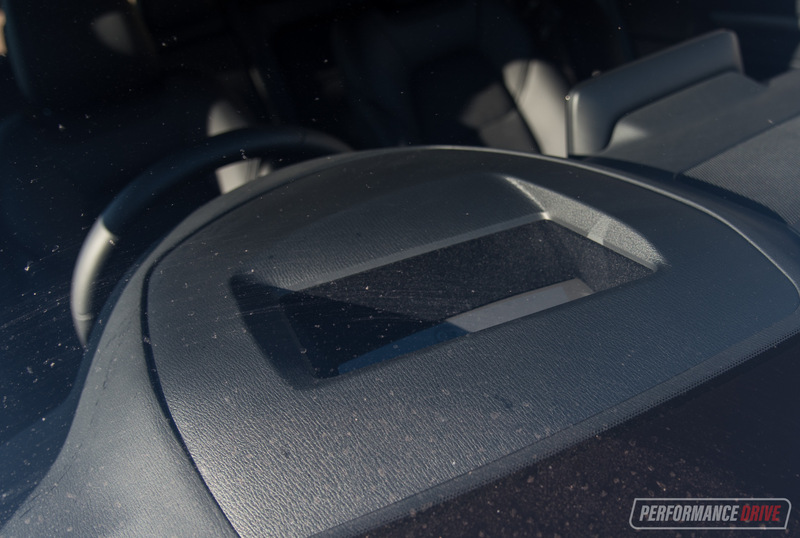 Rear passengers are treated to separate climate vents, and the GT gets a centre-seat flip-down arm rest with an in-built USB port to keep devices charged. 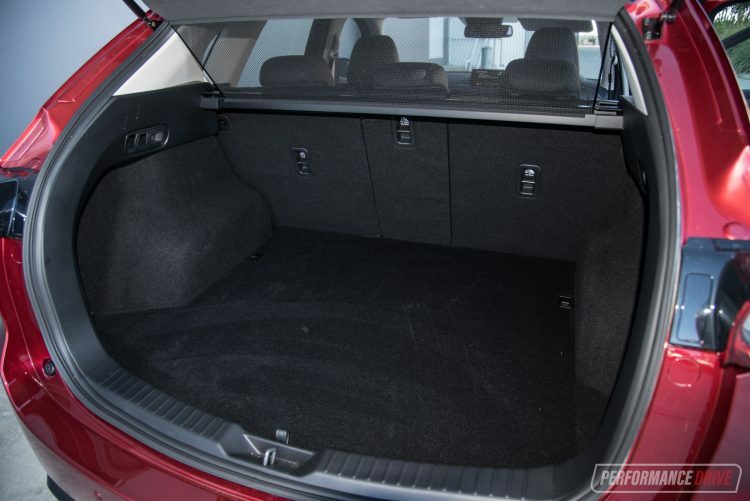 Boot space is rated at 442L/1342L with the rear seats up/down. 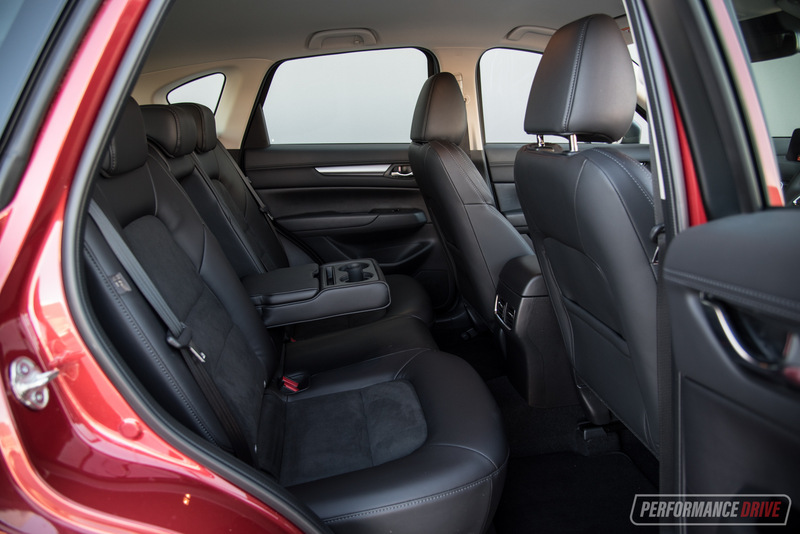 This is one of the smaller-capacity cargo areas in the class, but only just and still totally acceptable and perfect for the family (see below for comparison with rivals). The towing capacity is rated at 750kg/1800kg unbraked/braked. 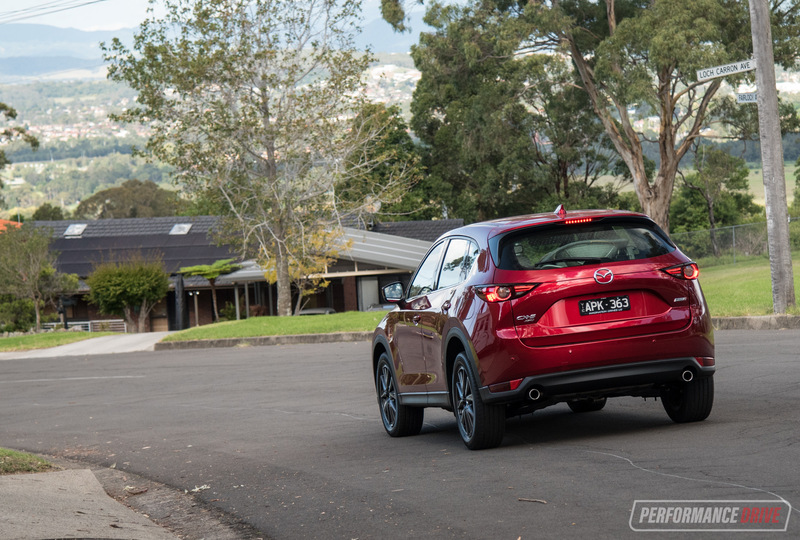 One of the better traits of modern Mazdas, in our opinion, is the drive character. We love the way these cars behave on the road. 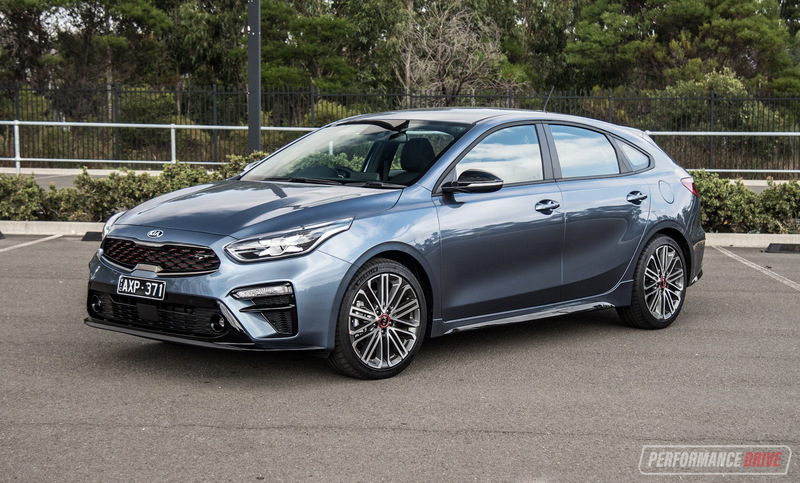 The steering feels taut and mechanical, providing good levels of feedback without being twitchy, and while the suspension isn’t specifically tuned for Australian roads it does offer a distinct, rubbery and confident feel. It always feels composed on the road, especially over shoddy sections with corrugations around those long sweeping bends in the country. 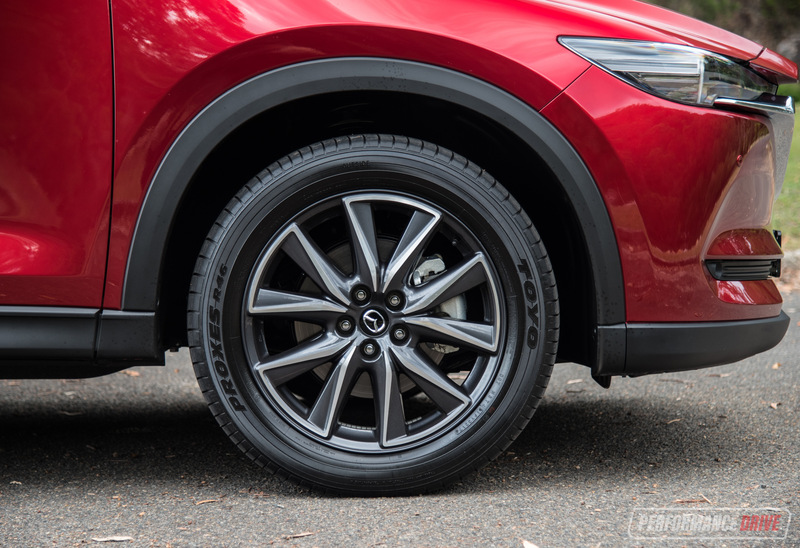 With the wheels firmly planted on the ground at all times, the CX-5 inspires driver confidence. 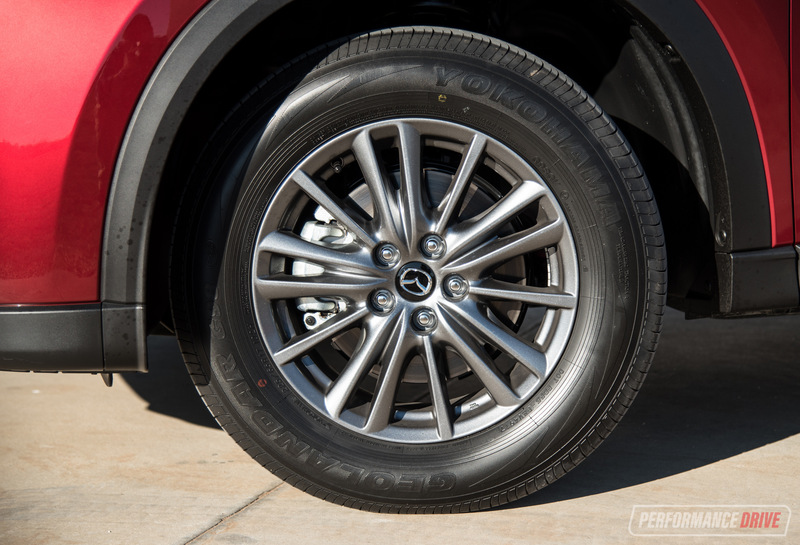 In any regular situation the CX-5 never feels out of its depth or nervous. It feels solid and reassuring. 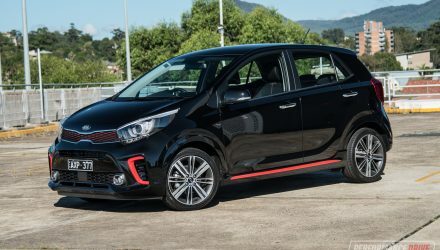 And being more to the sporty side in terms of steering and handling, it can be an entertaining drive experience, which is certainly uncommon in this segment. 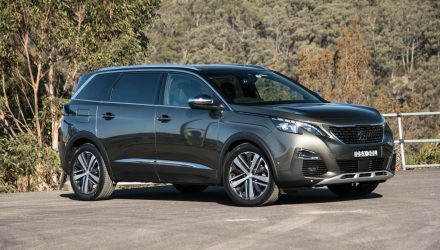 There’s also impressive noise suppression, with very little wind noise or road roar coming into the cabin, making it a great family road trip vehicle or company car for travelling workers. 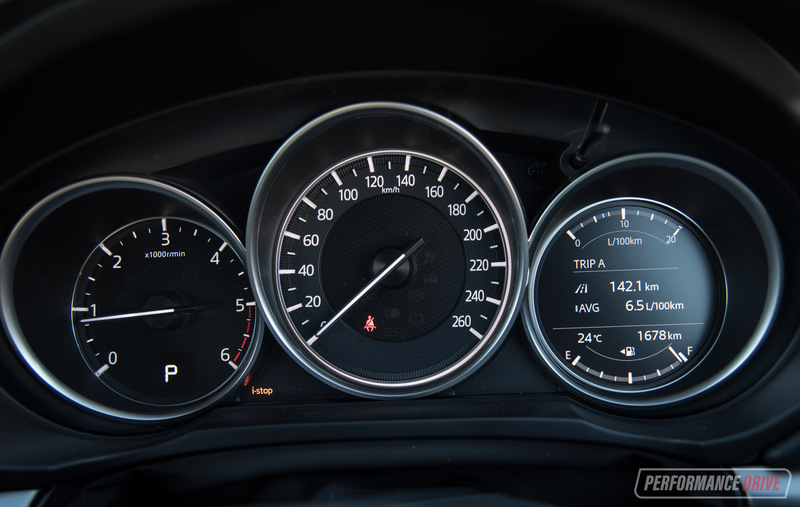 An area that will be of high relevance to travellers is fuel economy. With the updated 2.2-litre twin-turbo diesel, average fuel economy on the official combined cycle is reduced from 6.0L/100km to just 5.7L/100km. 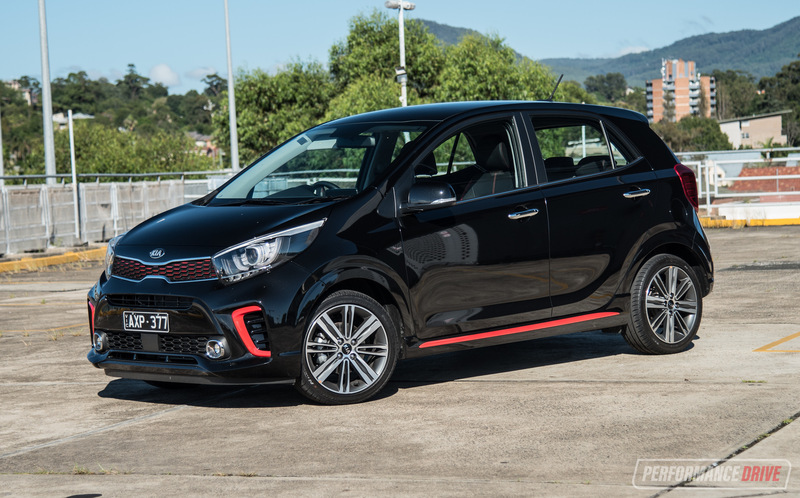 Given power and torque have been turned up, from 129kW to 140kW and 420Nm to 450Nm, this is an outstanding effort. Even more remarkable is what you can expect to achieve in the real world. 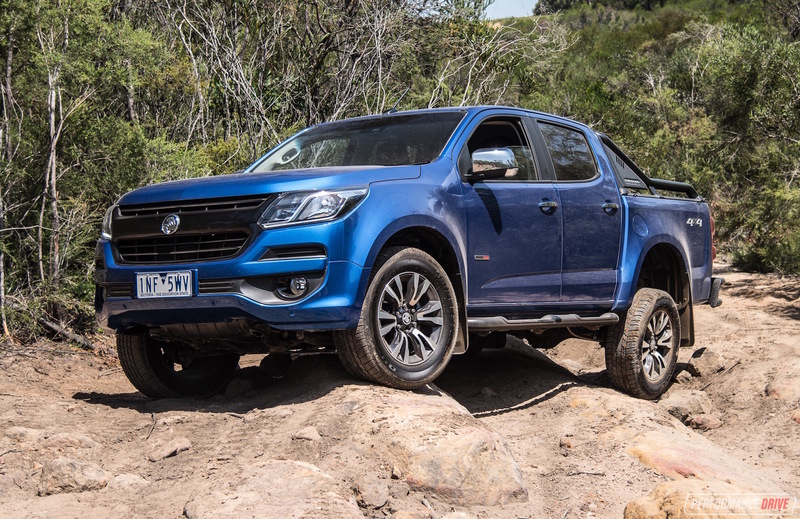 During our testing we averaged around 6.5L/100km in both the 129kW and 140kW tune, and this included performance testing and decent mountain drives. Speaking of performance testing, you can notice the increases in power and torque from the updated engine. We clocked 0-100km/h in 9.08 seconds in the 129kW version and 7.88 with the 140kW unit. Albeit different variant lines, with the older GT possibly slightly heavier, the old tune isn’t exactly under-par but the new tune is pretty quick. You can really feel that 450Nm torque wave pulling you up to speed. It’s available from just 2000rpm. 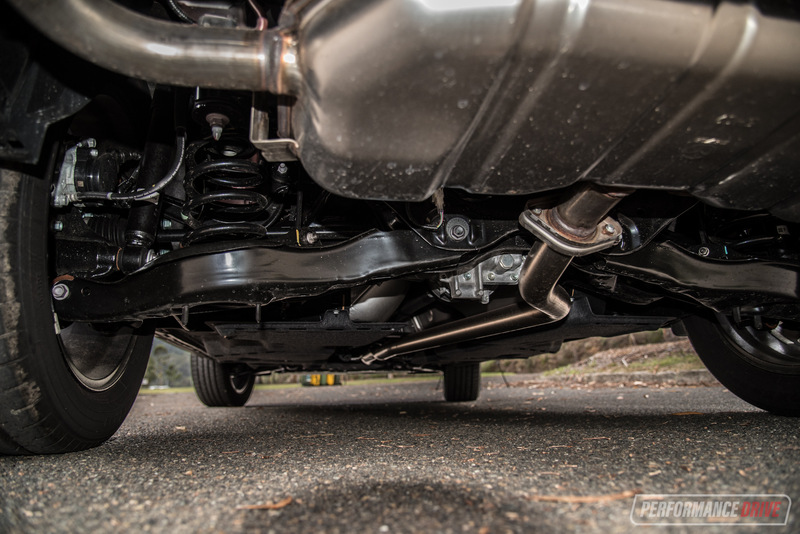 With more power the top end is also rewarding. Instead of tapering off in the old tune the new unit keeps hauling until its near-5000rpm redline. Matched up to a six-speed auto makes it feel quite effortless in all conditions. It doesn’t hunt around gears like some of the competitors do, and it’s definitely more exciting than the dreaded CVTs offered in rivals. 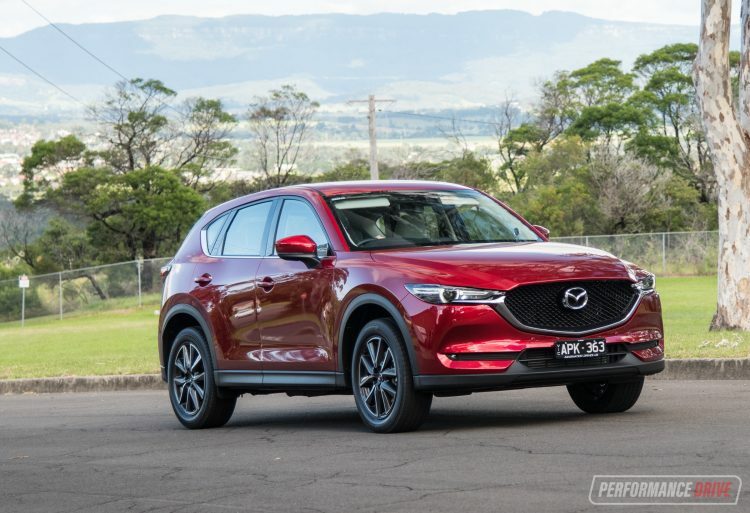 Mazda has said that it isn’t looking to increase the number of gear ratios any time soon. Instead, it takes on a different philosophy. 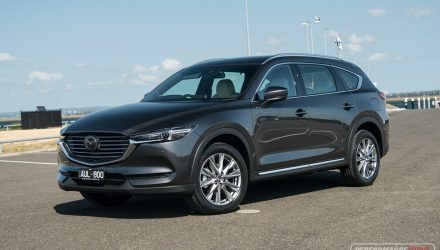 While some carmakers add more gears partly as a marketing exercise and partly to help make use of downsized engines, Mazda is sticking with larger capacity engines and these usually have no trouble surging through longer gear ratios – especially in the case of the diesels tested here. 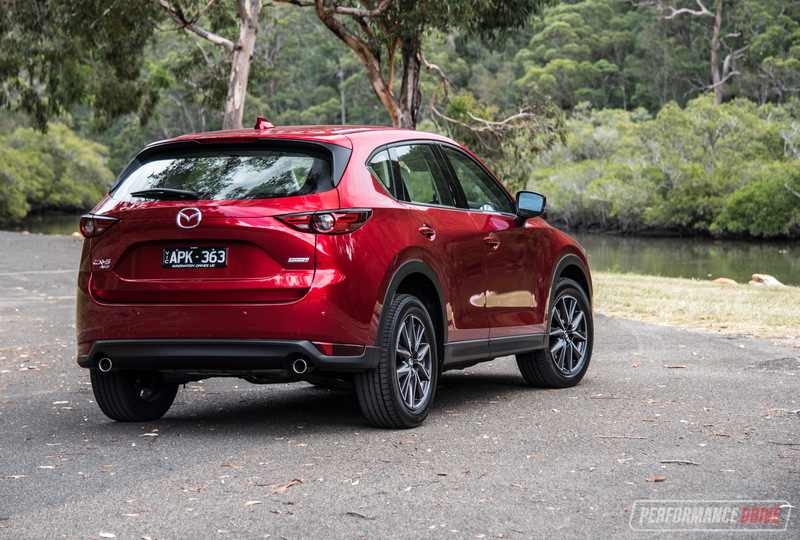 It’s easy to see why the Mazda CX-5 is such a popular product on the Aussie market. 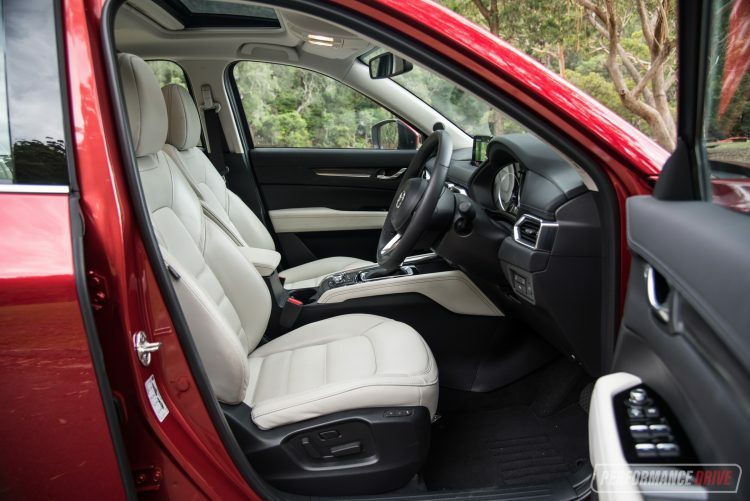 It does everything you need from a medium-size SUV, and it looks great and provides passengers with a high-quality yet practical interior package. It doesn’t really matter if you go for the more affordable and perhaps better value Touring or the luxury GT, it’s a smart buy. 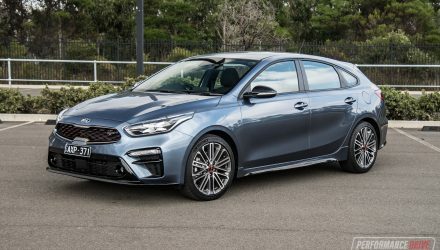 We’d recommend the Touring as it does bring in a big basket of useful features that will be appreciated across a wider audience, while the GT is more of an indulgence. 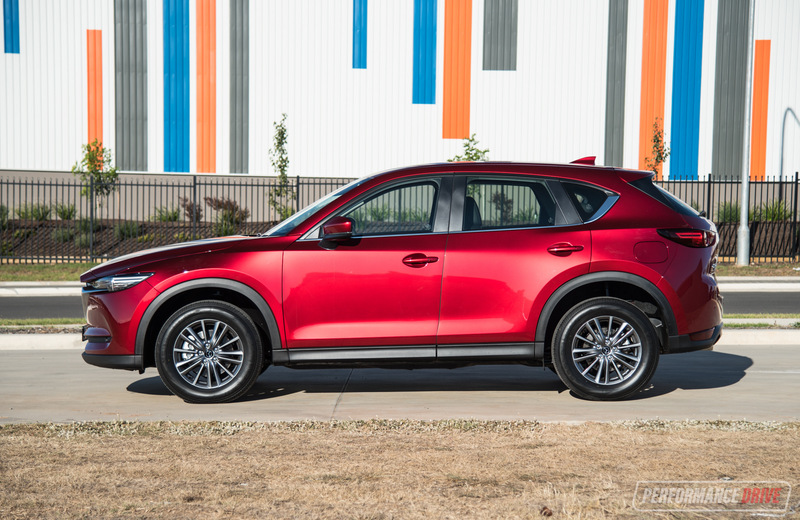 With the new diesel engine the CX-5 becomes one of the most powerful and torquiest offerings in the class. As a bonus, fuel economy is even better. 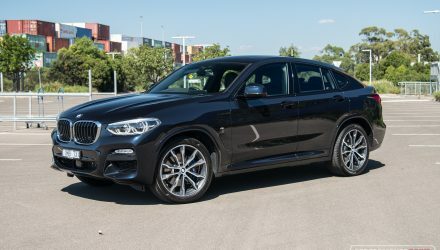 Before you sign the dotted line though we do recommend you check out one of the petrol engine options as well, particularly if you are only planning to do small trips around the city or suburbs. The real benefit of the diesel is mainly experienced during open-road driving and over longer distances. Other than that, this is near-perfect product, fulfilling its intended purpose, market demand, and value for money perfectly. 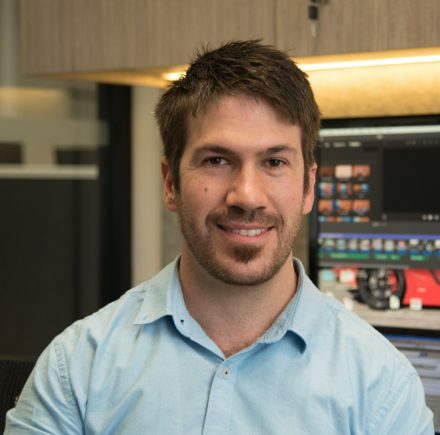 – Such a best-seller it’s almost too common?